In February, Katrin Haugh heard from the Veterans Administration that her severely mentally ill son would be "transitioned" from a treatment facility to the Anchorage Gospel Rescue Mission. She said a VA representative assured her the mission is a nice place. Another said it gets excellent results with veterans. But when she emailed the mission, Pastor John LaMantia informed her it is a homeless shelter with a 30-day maximum stay and no medical program to support a veteran like her son. "I am glad your son is not on the streets as are so many veterans," LaMantia wrote. "I have a problem with this because the fact is they DID serve the country and should be taken care of far beyond what they are." I looked into the case of Haugh's son because I feel the same way. We are not revealing this veteran's name to protect his privacy, but I did receive medical records and a signed release to talk about his case with VA officials. Haugh said he was not lucid enough for me to interview. What I found was a story without bad guys. Veterans are on the streets. Some, like Haugh's son, have mental illnesses so severe that doctors don't believe they can ever live on their own. There are programs to house veterans and to care for those with mental illnesses. But accessing the programs may not be easy enough. The illness itself can be a barrier. We need to do better. Timothy Ballard, director of the VA in Alaska, defended the agency and said it does not have a problem placing patients out from the Domiciliary Care Program in Anchorage, which primarily treats mental illness and substance abuse. Most often, patients leaving the Domiciliary move to supervised transitional housing on their way to supporting themselves or living in housing provided through government rent vouchers. But Ballard said that wasn't appropriate for Haugh's son, because his illness is too severe for transitional housing. At the same time, Ballard said the veteran had refused residential treatment and could no longer take a bed in the Domiciliary, which is a treatment program. Haugh didn't understand that. All she knew is that he would be homeless. She was frantic and began calling anyone she could think of to help. He went through various housing and treatment options, including living with her. But she couldn't handle periods when he completely lost connection with reality, including incidents when she locked herself in her room for safety as he raved and beat on her door. He found alcohol and other drugs quieted his voices. He lived in the Mat-Su area for a time as an out-patient and developed a serious substance abuse problem. By 2016, Haugh said, "We realized something had to change or he would be dead." The VA's Domiciliary on C Street in Anchorage provided excellent care, Haugh said. Staff kept in touch and she was impressed by their patience, caring and professionalism. They tried hard. But it is a treatment facility. Veterans are supposed to leave when they complete the program. After almost two years, it was far over time for Haugh's son to leave. She said he was asked to sign paperwork for a transfer to the Rescue Mission. She had told him never to sign anything without talking to her. Haugh has worked 12 years for the Alaska Division of Elections. She is well-spoken and meticulous. She said she asked the Domiciliary's director, "You're going to drop him at the Rescue Mission and you're going to expect him to come out of the woods three times a day and ask for his meds?" 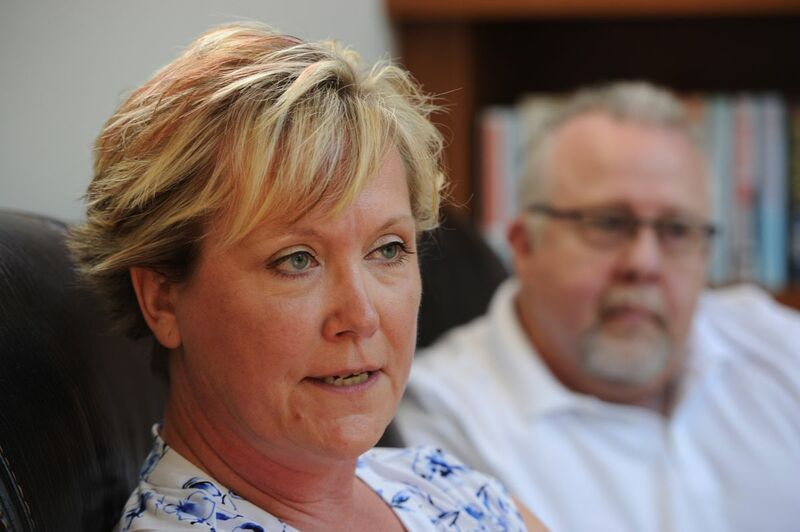 Haugh said she complained to Sen. Dan Sullivan's office, which intervened. Sullivan's spokesperson would not comment on the case. The VA's Ballard said contact from Sullivan had nothing to do with how Haugh's son was treated. But he got to stay three more months at the Domiciliary, through another period when he refused treatment and other options the VA offered, Ballard said. In May, the VA proposed moving him to the Brother Francis Shelter, Haugh said. She contacted Sullivan again and the Anchorage Daily News. She also had confrontations with VA officials. Finally, in June, the VA placed the veteran in an assisted living facility using state general relief funds. Ballard couldn't say the source of that money and his spokesperson did not answer follow-up questions over a week when I asked. For this one veteran, it is a happy ending. He seems to be appropriately housed. But it isn't a reassuring story. LaMantia, the pastor at the Rescue Mission, said Haugh's son is lucky. "At least he had her to go to bat for him. What are these other guys doing?" he said. "They are out there, and it is not a small number." Congress has created many programs for veterans care and housing. The Alaska VA has 300 rental vouchers for veterans, Ballard said. National statistics show the homeless veteran problem has improved by half over the last 10 years. A one-night count in January, 2017, found 127 homeless veterans in Alaska, according to a federal report. A spokesman for Sullivan said the issue is a high priority for him. Getting more veterans to sign up for services is part of the solution, he said. Large bureaucracies often cough on usual cases and the case of Haugh's son is rare—a patient who, even with ample residential care, cannot be rehabilitated to the point where he can function as an out-patient. And he appears to be recalcitrant as well. But unless the system can handle the toughest cases without the intervention of a U.S. Senator, it isn't working well enough. Other veterans don't have a tiger like Katrin Haugh on their side. This story has been updated to correct three instances in which Katrin Haugh's last name was incorrectly spelled Hough.